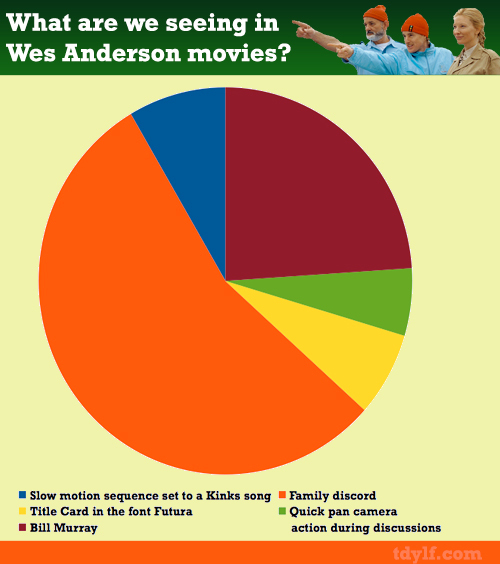 Infographic: What Are We Seeing in Wes Anderson Movies? I like Paltrow more than I should, purely because of her role as Margot Tenenbaum. Fun fact: apparently Scorsese named Wes Anderson “the next Scorsese” or something in a GQ interview. Or so sayeth Wes Anderson’s IMDB trivia section. As far as Paltrow, I thought she was great in Tenenbaums. She was also good in Iron Man. I think it’s her bogus British accent roles that irritate me. Enough already! Interestingly enough, though I’m no fan of Paltrow, I think her mom (Blythe Danner) is great. I also agree with G-LO here, Wes Anderson is one of the best working directors today. Hehehe, very observational. You should do infographics like this for other directors. You have in the past, but I can’t remember for whom. I’ve got a few. I’ve done Scorsese, Spielberg, Woody Allen, Hitchcock, Bergman… and I think that might be it. You sure hit the nail on the head here. I’m definitely a fan, not a hater. Rushmore is my fave. It’s kind of a coin flip for me between Rushmore and Tenenbaums. It kind of makes me sad that Schwartzman wasn’t in Tenenbaums. I alluded to it in my Soundtracks piece, but I absolutely adore Rushmore, Bottlerocket, and Tenenbaums. 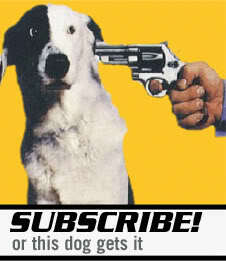 But I feel a bit about Wes as I do about Tarantino: Man, you guys are f’n awesome directors. It kills me that your movies are so thematically similar. What if Wes Anderson made his version of There Will Be Blood? Maybe it would be a total failure. But it would be an awesome, interesting failure. That almost perfectly echoes how I feel about Wes Anderson (and Tarantino, for that matter). Just once, I’d like to see them try something a little different. Fantastic Mr. Fox is a perfect microcosm for all of that. When I found out he was doing an animated movie, I was really intrigued and hoped that it’d be the one where he’d break free of his conventions. And then… it was a Wes Anderson movie. And I loved it anyway. You do have to pay attention to the cussin’ road, after all. Yes yes! The cussin’ road demands my undivided attention. Especially with precious cargo aboard. Wasn’t a fan of The Royal Tenenbaums at all. It bored me to tears and it made very reluctant to check out any of his other movies. That’s exactly how I felt about “Bottle Rocket”, which is pretty much the only Wes Anderson movie I haven’t enjoyed. The Royal Tenenbaums is the only ones I’ve seen from Wes, too. I remember liking parts of it (the Bill Murray parts probably) but not sure if I like it enough to check out his other work. Fantastic Mr. Fox might be worth a try, Ruth. It’s still very much Wes Anderson, but it’s a fun, animated kids movie at heart. it look like some of these remarks appear as if they are left by brain dead folks? 😛 And, if you are posting on other sites, I’d like to follow everything fresh you have to post.